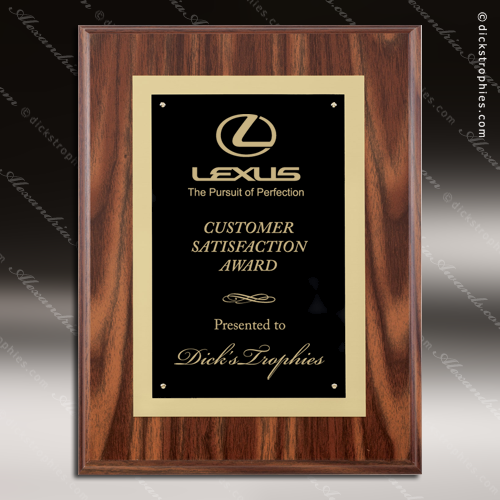 Cherry finish laminate plaque with gold, silver, or copper plate and coordinating color border, screws and rosettes. 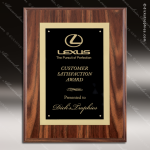 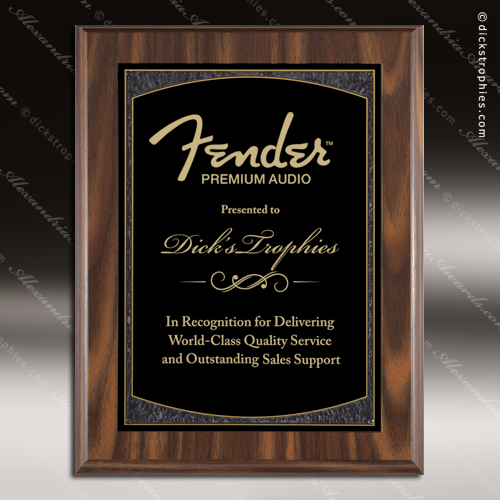 Cherry finish laminate plaque with black brass engraving plate backed with gold. 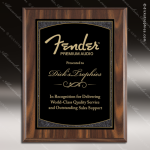 Cherry finish laminate plaque with black brass engraving plate backed with gold aluminum, screws, and rosettes.